MotoGP returns to Austin next weekend, and Dainese and AGV Helmets want to hook you up with an appointment to see the Doctor! 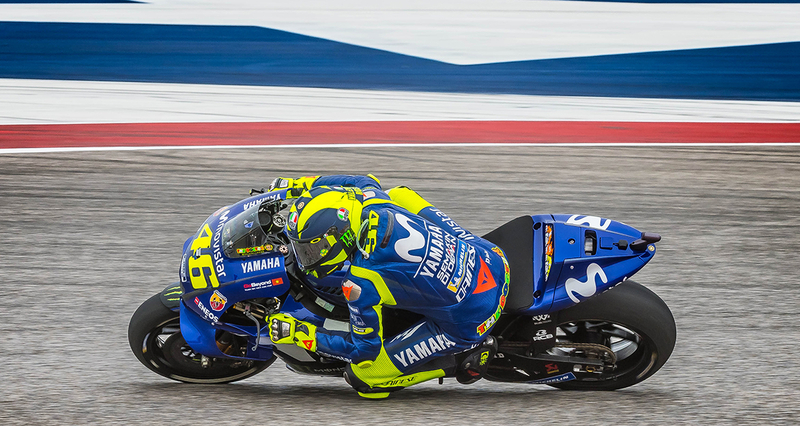 On the Thursday before race weekend (April 11) one lucky winner will be invited to COTA to rub elbows with the legendary seven time world champion. How do you enter? It's easy! Download the COTA App for iOS or Android by Friday, April 5 at 12:00PM Central. Enable push notifications within the app. COTA will send a push notification via the app on the afternoon of April 5 with a URL where you can enter to win. We'll reach out to the winner on Monday, April 8 after submissions close at 12:00PM Central. UPDATE: Winner has been drawn and notified. Thanks for entering! Terms and conditions available at dainese.com. Get your tickets for the Horsepower Rodeo at circuitoftheamericas.com/motogp.